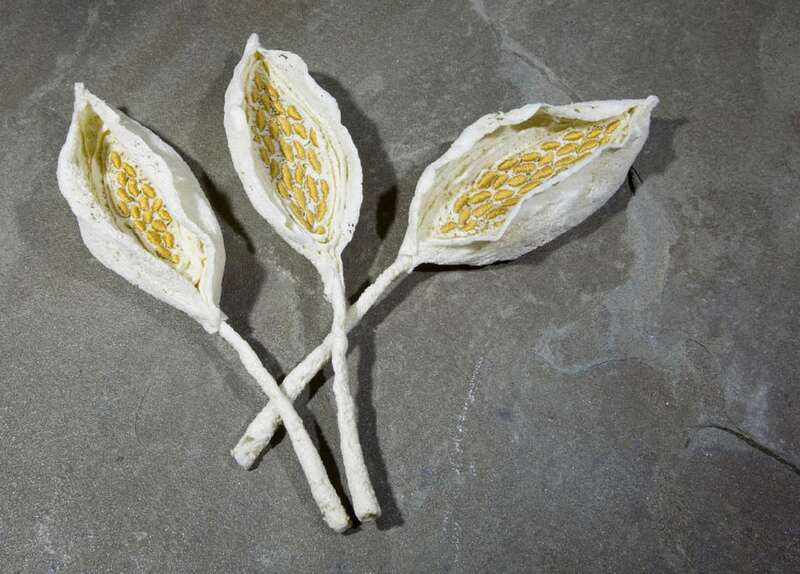 Eco-printing was developed by the amazing India Flint, an Australian artist, farmer, and designer. Sounds simple – apply plants to cloth, bind tightly and heat with water or steam. It is, however, anything but simple! I have tried for several summers to achieve something beautiful and have had mixed results. Having the advantage of hearing and seeing India teach through her online class (The School of Nomad Arts) has helped me tremendously. I am finally getting some amazing prints. 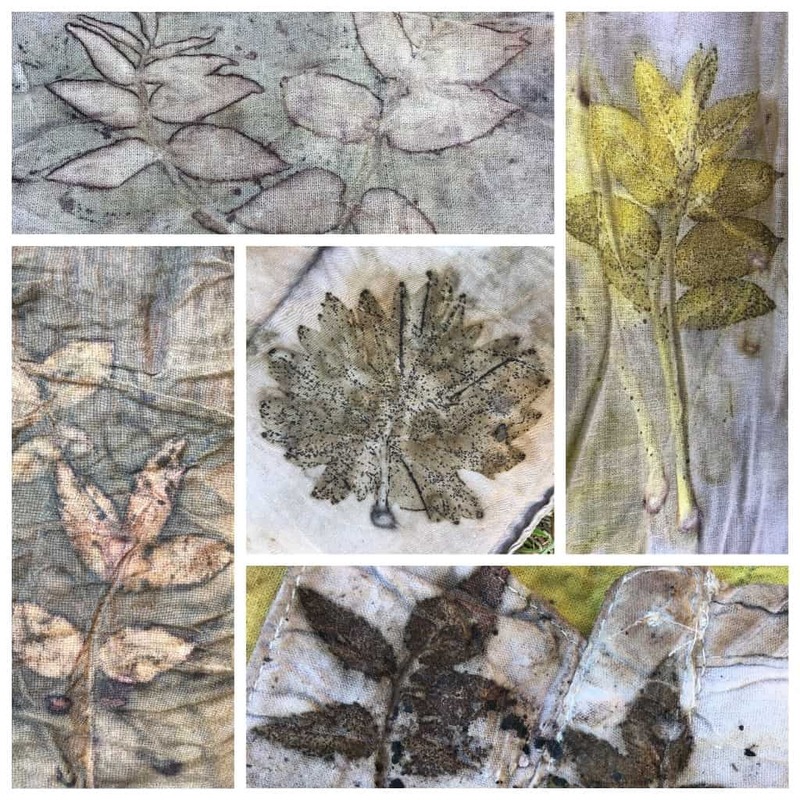 These are all on cotton muslin – much more difficult to achieve prints and colors on cellulose fabrics vs protein fabrics such as silk and wool. I am excited and happy to achieve these results – and all on my little camp stove! Of course, part of the battle is finding leaves and plants that work well for this process. These are pecan and grape leaves – courtesy of the amazing property we are staying at right now in the Verde Valley of Arizona. Alas, we are moving on this week so, although I have plenty of printed cloth to work with for now, I will be experimenting further as we travel and hope to find some other plants to create amazing fabrics in the future.